Beware of $100 counterfeit bills circulating area businesses. We need your help. Can you identify this guy? Beware of $100 counterfeit bills circulating in the area. 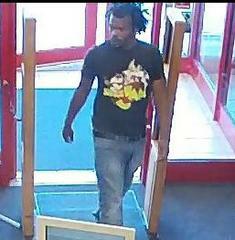 SPD seeks the public’s help in identifying this person of interest. We have taken numerous reports of a 100 dollar counterfeit bills circulating in the area. The money in question are bills that are marked as $100 dollar bills. We are asking local merchants to be aware when accepting bills and urge you to check its authenticity.